During the 19th century it was shown that the radiant (i.e., spatial direction) of the spectacular meteor showers of 1866, 1872, and 1885 coincided well with three known cometary orbits that happened by chance to cross Earth's orbit at the dates of the observed showers. The apparent relationship between comets and meteor showers was interpreted by assuming that the cometary nucleus was an aggregate of dust or sand grains without any cohesion, through a concept known as the "sandbank" model. Meteor showers were explained by the spontaneous scattering of the dust grains along a comet's orbit, and the cometary nucleus began to be regarded only as the densest part of a meteor stream. chemically unstable in the laboratory because they are very reactive in molecular collisions. Spectroscopy also enabled investigators to detect the existence of a plasma component in the cometary tail by the presence of molecular ions, as, for example, those of carbon monoxide (CO+), nitrogen (N2+), and carbon dioxide (CO2+). The radicals and ions are built up by the three light elements carbon (C), nitrogen (N), and oxygen (O). 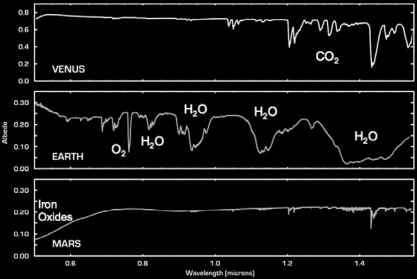 Hydrogen (H) was added when the radical CH was discovered belatedly on spectrograms of Comet Halley taken in 1910. The identification of CH was proposed by the American astronomer Nicholas Bobrovnikoff in 1931 and confirmed in 1938 by Marcel Nicolet of Belgium. In 1941 another Belgian astronomer, Pol Swings, and his coworkers identified three new ions: CH+, OH+, and CO2+. The emissions of the light elements hydrogen, carbon, oxygen, and sulfur and of carbon monoxide were finally detected when the far ultraviolet spectrum (which is absorbed by Earth's atmosphere) was explored during the 1970s with the help of rockets and satellites. This included the very large halo (107 kilometres [62 million miles]) of atomic hydrogen (the Lyman-alpha emission line) first observed in Comets Tago-Sato-Kosaka 1969 IX and Bennett 1970 II. (ammonia). In 1948, Swings proposed that these molecules should be present in the nucleus in the solid state as ices. Finally, argued Whipple, the asymmetric vaporization of the nuclear ices sunward produces a jet action opposite to the Sun on the solid cometary nucleus. When the nucleus is rotating, the jet action is not exactly radial. This explained the theretofore mysterious nongravita-tional force identified as acting on cometary orbits. In particular, the orbital period of 2P/Encke mysteriously decreased by one to three hours per revolution (of 3.3 years), whereas that of 1P/ Halley increased by some three days per revolution (of 76 years). For Whipple, a prograde rotation of the nucleus of 2P/ Encke and a retrograde rotation of that of 1P/Halley could explain these observations. In each case, a similar amount of some 0.5 to 0.25 percent of the ices had to be lost per revolution to explain the amount of the nongravitational force. Thus, all comets decay in a matter of a few hundred revolutions. This duration is only at most a few centuries for Encke and a few millennia for Halley. At any rate, it is millions of times shorter than the age of the solar system. However, comets are constantly replenished from the Kuiper Belt and the Oort cloud.